Fab Fabrications--Kaleidoscopes from Nature Images Emphasizing Geometry In Nature and Symmetry: Mandalas and Kaleidoscopes--What is the Difference? How to Draw a Mandala from Premaspace. To me, it is the spiritual intent that is the difference between the two. 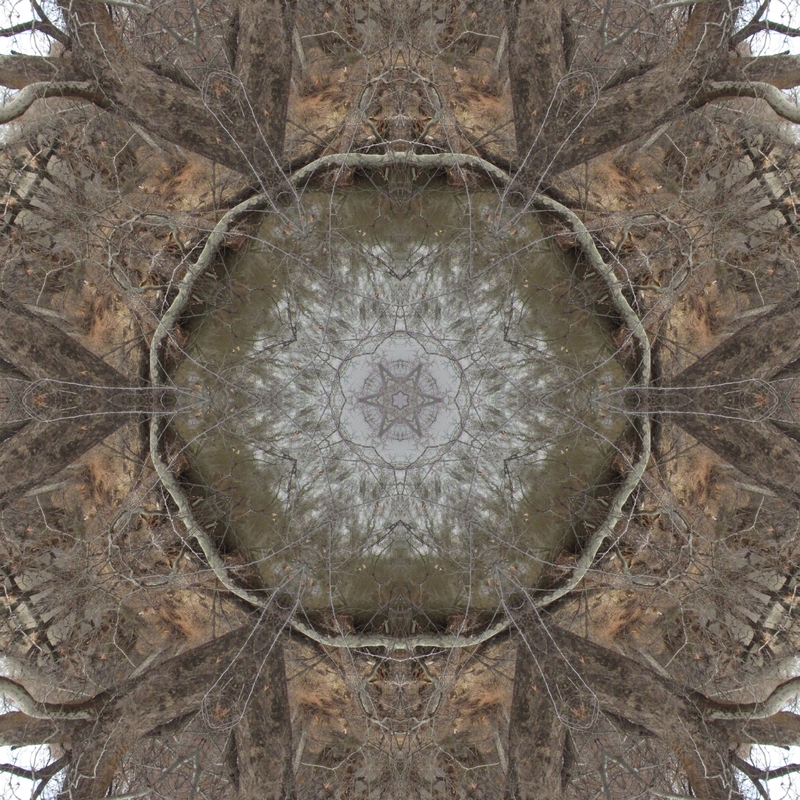 I consider my work to be both since I often go into a zen like space in my head when I am creating and choosing kaleidoscopes for this blog. 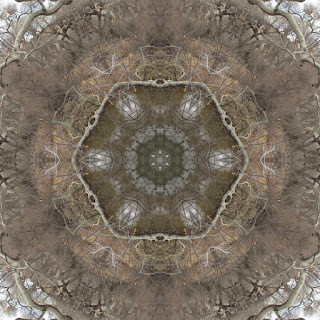 It even extends to the time when I am taking photographs with the intention of creating images for the kaleidoscopes. I am continually drawn to water and the amazing sycamores which grow here in the riparian zone. Luckily, in the Verde Valley we have a large number of rivers and creeks, including Oak Creek, Spring Creek, Beaver Creek, and the Verde River. The kaleidoscopes below were created from photos of the trees from a recent trip to Page Springs Fish Hatchery with the beautiful grays and brown of early winter vegetation. Fabulous stuff, Trina! Hope to see you and Michael in Feb.